United Cutlery S.O.A. 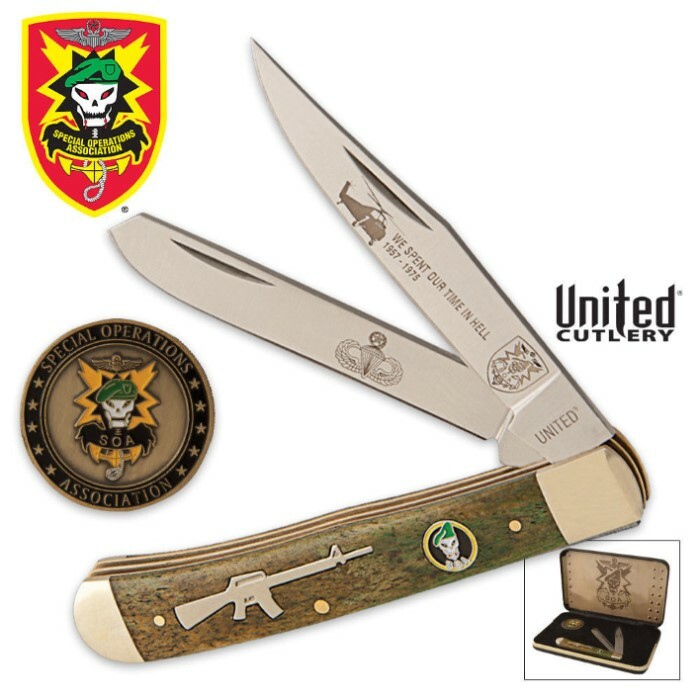 Special Edition Green Trapper Pocket Knife & Coin Box Set | BUDK.com - Knives & Swords At The Lowest Prices! The S.O.A. was established in December 1977. For the most part, the S.O.A. 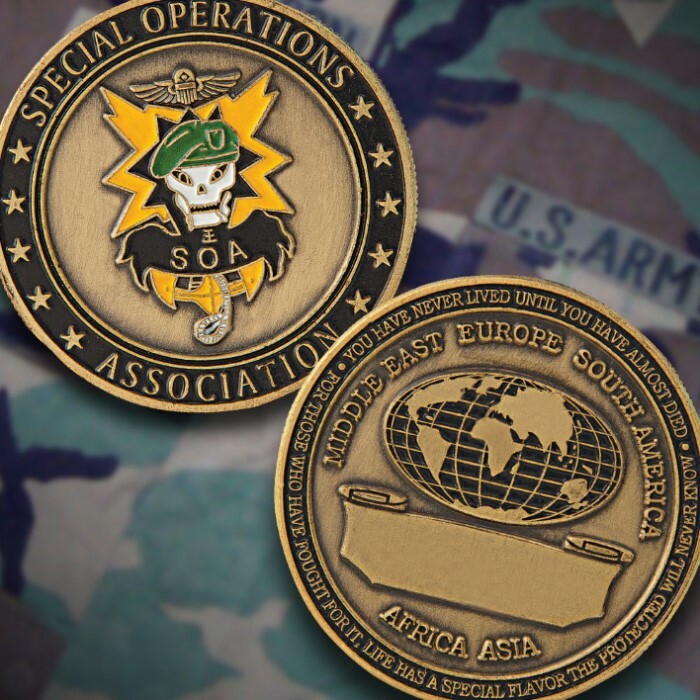 is composed of U.S. Army Special Forces personnel and also includes USAF Air Commandos/FAC's, Navy Seals, Marine Raider and Force Recon personnel and veterans of other elite military organizations who were an integral part of Special Operations in the United States Military. This commemorative set includes a trapper knife and an S.O.A. challenge coin. This knife continues United® Cutlery's tradition in excellence.